Advanced Modbus support for seamless communication with PLCs. 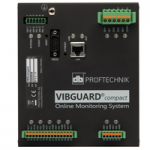 OMNITREND Center is the powerful software suite for PRUFTECHNIK’s condition monitoring systems VIBGUARD, VIBROWEB XP, VIBRONET Signalmaster and the VIBXPERT family. Easy measurement configuration, data management, archiving, analysis and reporting – all the functionalities you expect bundled in one modern software platform. 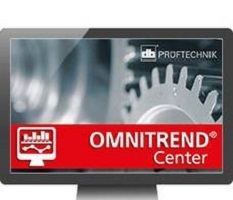 OMNITREND Center is available for single or multi-user environments. With its tree-based asset management structure, you can quickly orientate yourself through the measurements. Dynamic band alarming of overall values, 3D-FFT waterfall diagrams, statistical algorithms for trend prognosis and trend smoothing are just a few outstanding features of OMNITREND Center. 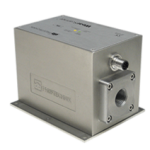 Linear or planetary gearboxes – never has multi-stage drive modelling been so easy, enabling highly efficient and accurate analysis. An advanced interactive reporting tool provides the perfect way to share findings with the relevant departments and third party post-processing or CMMS software tools.